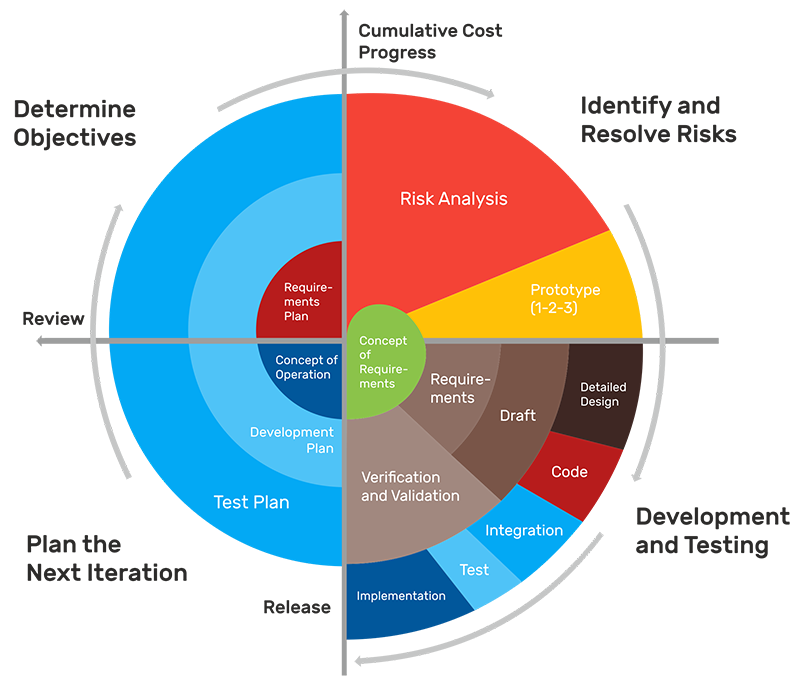 Spiral Methodology is the most aggressive and accurate with high deliverable rates among the development methodology we have discussed until now. Spiral Methodology is unique as it incubates a working prototype at the end of each mini-spiral. Each spiral is composed of four stages: planning, risk analysis, engineering and customer review. The spiral development model starts with the planning phase, which evaluates key working elements of the project such as objectives, market condition and more. The next phase, risk analysis tries to solve the problem in more than one way. The third phase is getting the job done, followed by the customer review that relies on the feedback from the customer. The iterations stop when the final deliverable is developed. This way both the clients and the development team interact periodically, improving the product deliverable one at a time. At TechReceptive, the in-depth knowledge of the spiral model helps the clients to achieve their target in less time with the highest delivery rate. This model helps clients to evaluate the market and make changes accordingly. This approach is also great for creating small pieces for the project, which leads to bigger deliverable with time.